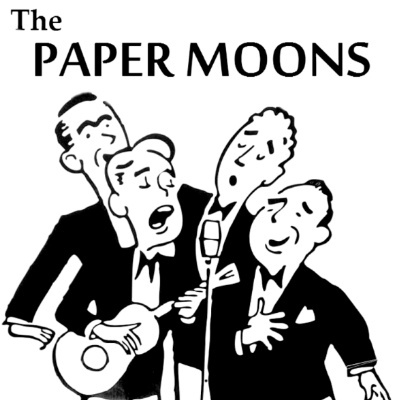 The Paper Moons performing in the style of the pioneer vocal groups! Both RealAudio and Windows Media Player "CD Quality" formats are provided. Selections can be streamed or downloaded (for future listening). To download, right-click on "DOWNLOAD" and then select "Save target (link) as..."
Additional song selections will be added as they become available. Return to the Vocal Group Harmony Web Site Main Page. *Song composed by The Paper Moons.